Click the button below to add the Petit Salted Caramel Truffles to your wish list. 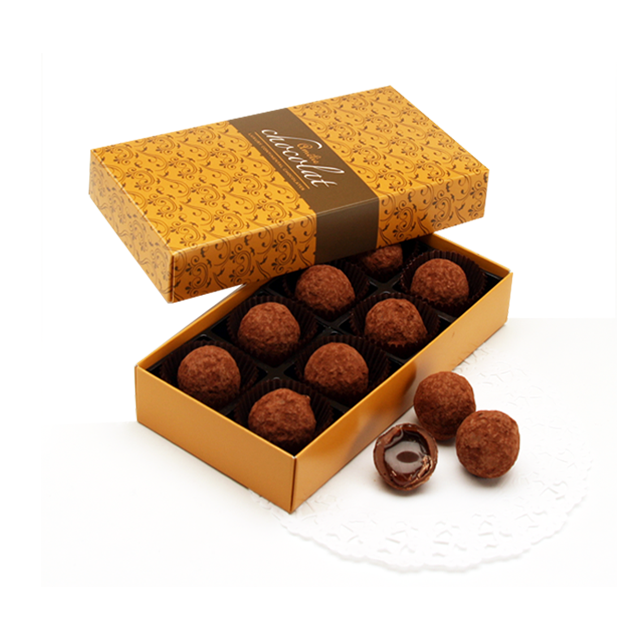 AN INDULGENT & CONTEMPORARY 'MINI TREAT' ... 8 meltingly delicious Swiss bittersweet cocoa dusted truffles, oozing liquid salted caramel centres ... quite simply 'heaven in a box'! Presented in our beautiful 'fleur' Amelie gift box, these delectable truffles truely showcase the expertise of our superb chocolatiers. Add your personlised message card for a zingy little gift treat ... or enjoy as a well deserved little personal indulgence!